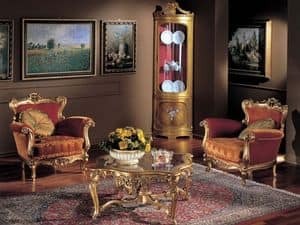 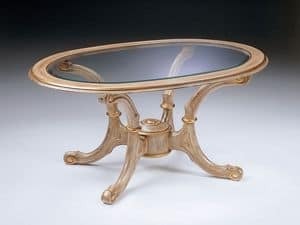 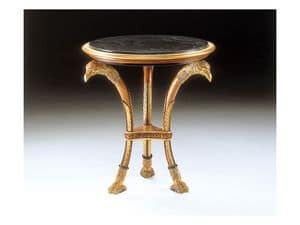 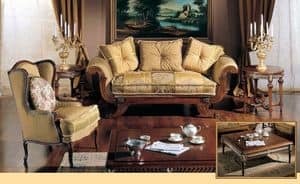 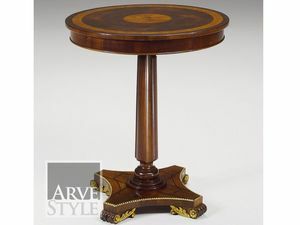 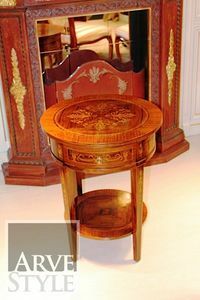 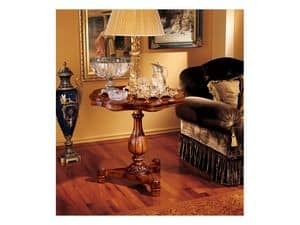 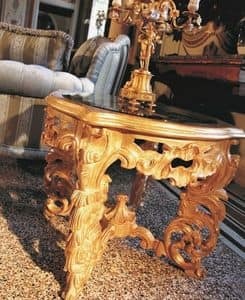 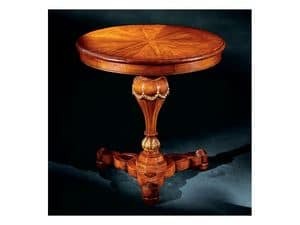 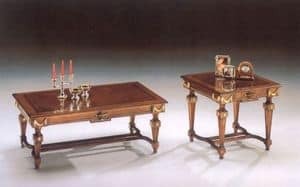 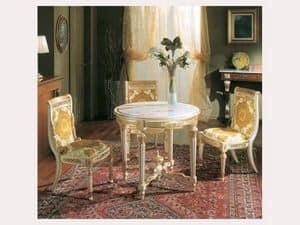 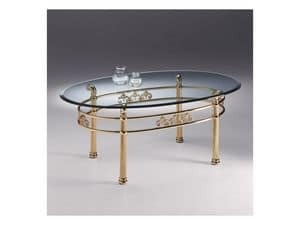 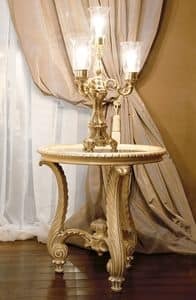 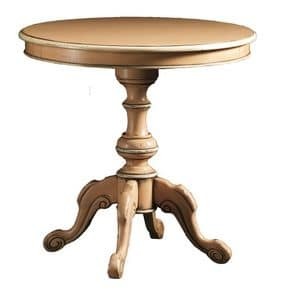 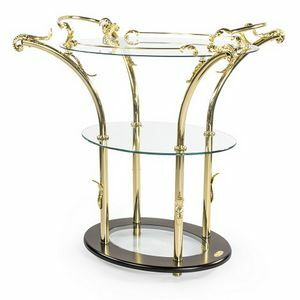 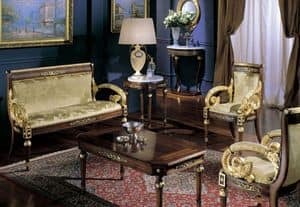 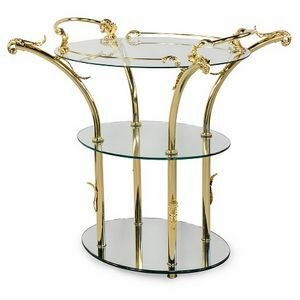 Side table in wood for luxury classic drawing room. 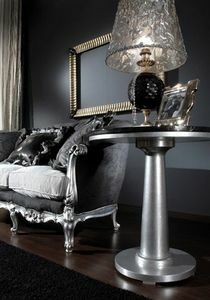 Side table with round top in Carrara marble. 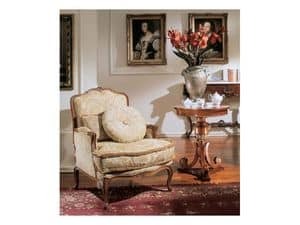 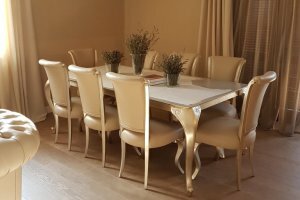 Metal chair with high backrest with horizontal slat.